This Ford Mustang-Based Raptor Rendering Is EPIC! Home Cars News This Ford Mustang-Based Raptor Rendering Is EPIC! Ford Mustang is a much revered pony car across the globe and it has its fair share of fanatical excellence in India as well. The legendary model has evolved throughout its history and is a main reason for being a global success unlike its American competitors that struggled to cross the Atlantic. The Mustang’s popularity in Europe is second to none and has always been with the best German and British sports cars in volume sales, even in Germany. 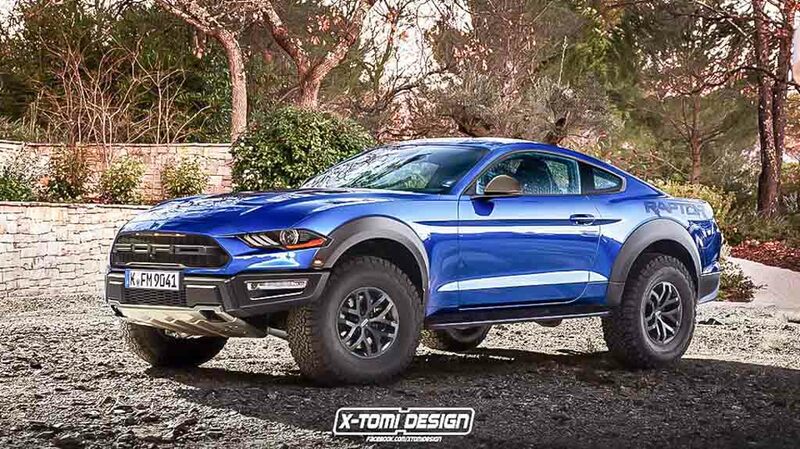 The Ford Raptor Mustang rendered by X-Tomi Design might have triggered fans wondering why someone has not thought about it already because of the fact that it looks compelling and bonkers all the way. The Mustang has a dedicated fanbase and some digital artists have come up with off-road form of it more times than one, but nothing looks as provocative as X-Tomi’s imagination. The rendering looks darn real and does not have the feel of someone having designed it because they wanted to show it off. Up front, the Ford Raptor Mustang has an authentic Raptor grille with an aggressive bumper and skid plates giving a crossover-ish sports car appeal. Ford could just stick around with regular RWD configuration as the Raptor avatar has generous ground clearance and raised suspension with fat knobby rubber for some desired off-roading fun. Combining it with the near 500 horsepower GT engine, we could be having a winner on our hands here. It could outwit a dedicated dune basher with its astonishing stance. It is no secret that Ford is abolishing its sedan lineup in the United States to make way for a range of SUVs. To streamline the operations, the number of platforms has been brought down to just five. While Ford will continue to concentrate on sedans in markets where they are appreciated, the SUV and crossover trend has so caught on with the Michigan-headquartered brand. 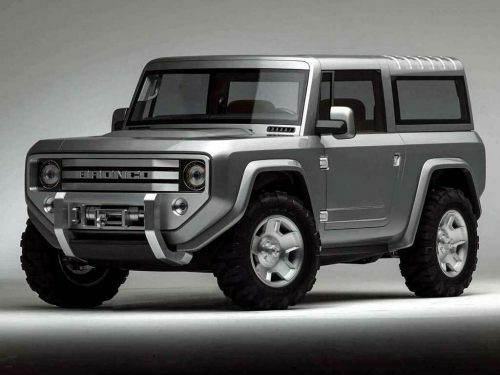 While a full-sized SUV based on the Mustang may not be an obvious choice, plans are in place for new breed of SUVs like the upcoming Bronco range.